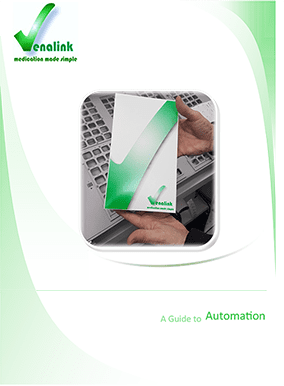 The Venalink monitored dosage system (MDS) is a sealed medication management solution that enables the Pharmacist to group patient medication according to day and time dosage requirements. The Venalink system allows patients or care givers to correctly administer the necessary doses with confidence and ease and with a tamper evident design. The use of MDS aims to ease the difficulty of taking multiple doses of medication. 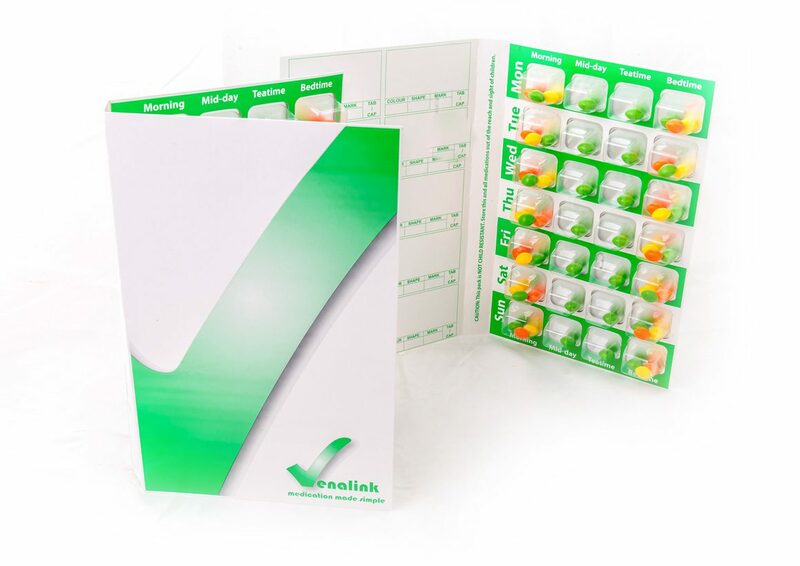 The blister pack ensures that the medication is displayed the same each time the patient receives their pack, to avoid any confusion that may arise with individual tablet boxes. It allows the patient or care giver to keep track of what to take and when and monitor any doses missed. Providing an individualised service specific to your patients’ needs is a good way to reinforce the important role of the Pharmacist in the community and differentiate your professional services. How to produce the perfect seal. To help you to help your patients, we have compiled easy to read information to promote the MDS service you offer. The information encourages patients to discuss their needs with the pharmacist. Please contact us to request your marketing pack. 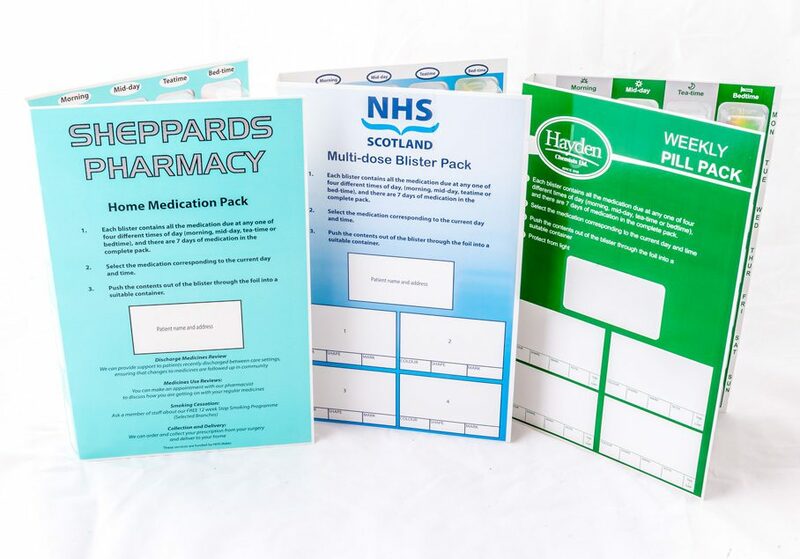 Personalise your pharmacy compliance cards by having a bespoke card with your own design, corporate colours and logo. 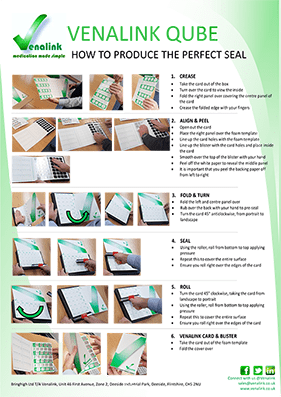 Personalise any cards* from Trifold and Qube to AM/PM. 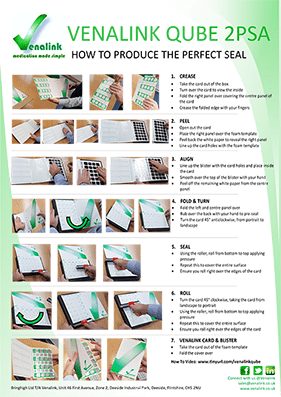 Please find all artwork and printing specifications in an easy to follow document. Click here to download.